Our team will deploy fully managed secure private network and dedicated servers for all your IT needs. Get the responsiveness, scalability, and efficiency of the public cloud, with the greater levels of control and security of the private and dedicated server. WHAT IS MANAGED PRIVATE CLOUD? Simply put, Managed Private Cloud leverages the limitless processing and storage capacity of the world’s largest and most powerful Cloud for any Enterprise’s new or existing physical or virtual Private Network. Migrate existing workloads or deploy new workloads to your Managed Private Cloud and combine Industry-Leading technology with our AWS Certified Engineers and Architects. To view sample servers we can provision for you, please click here. WHY CHOOSE A MANAGED PRIVATE CLOUD? More Productivity; focus on your Business or Development projects unencumbered by time-consuming, costly and outdated hardware maintenance, repair and upgrades. Cost and energy efficiency; improve the allocation of resources within an organization by ensuring that the availability of resources to individual departments/business functions can flexibly respond – On Demand. Dynamic AWS Portal; manage your servers, create backups, monitor server health and much more. At your fingertips and in one place. Leverage our Expertise; focus on your business. We are AWS Certified Engineers and Architects! Great Customer Support; with over 35 years in the business. The secret to success when migrating to the cloud is realizing you can accelerate your development and migration initiatives without compromising your IT policies, standards, and controls. Migrate to a Managed Private Cloud and start utilizing our AWS Native methodologies while maximizing your full potential and value from AWS Cloud Services. Dynamic’s AWS Certified Engineers and Architects will evaluate and customize the right solution for your Managed Private Cloud. We assess and design your current needs with your future growth in mind. Our AWS Solution Architects will Design & Build your secure Private Cloud Network which maximizes the benefits of deploying workloads and networks in the cloud. 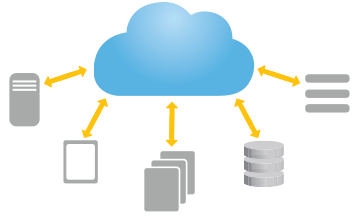 Our Engineers and Architects lead the industry and deploy AWS native methodologies including CloudFormation templates, BeanStalk, Accounts and other Best Practices for which your workloads run cost efficiently and effortlessly. We specialize in migrating existing servers into the Cloud and managing them for you. Leverage our expertise so you can focus on your business. Dynamic’s Migration process automates and monitors the conversion process, so you can quickly and accurately migrate your workloads to your private cloud. Enterprises and Organizations depend on their Private Cloud. Dynamic’s Industry Leading Managed Cloud Services and Support keep your Private Cloud Network working smoothly so you can focus on your business and growth. Depending on your Managed Cloud Service (SLAs) requirements, our team can ensure 99.99% uptime for you when you need it most, 24/7/365.